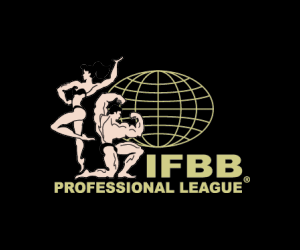 The National Physique Committee and Gaspari Nutrition have selected John Durante, Bradley Martyn, Nicole Kupser, Pamela Snyder, Kristine Duba, Bianca Martin and Rachael Pecoraro Athletes of the Month for the month of March. 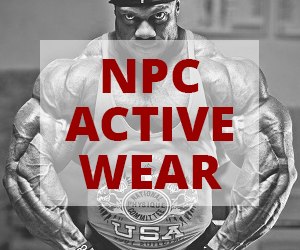 Each month, NPC President Jim Manion selects the Athletes of the Month in each of the organization’s seven divisions – Men’s and Women’s Bodybuilding, Figure, Bikini, Fitness and Men’s and Women’s Physique – based on in-person analysis and on the information provided by contest promoters across the country. – Men’s Bodybuilding: John Durante, 34, won the Middleweight and Overall at the NPC Sunshine Classic. Durante started competing in the NPC in 2009. – Women’s Bodybuilding: Rachael Pecoraro, 30, won the Heavyweight division at the Baltimore Gladiator Championships in her first-ever contest. A former police officer, Pecoraro is now a Control Tactics Instructor at the Federal Law Enforcement Training Center. – Bikini: Former gymnast Pamela Snyder, 27, won her class and the Overall at the Battle on the Beach. – Figure: Former elementary school teacher Nicole Kupser won Overall titles in the first two contests of her NPC figure career at the San Diego Championships and the Arizona State Championships. – Women’s Physique: Brazilian-born Bianca Martin switched to the Women’s Physique division for the 2013 season and kicked things off by winning her class and the Overall titles at the San Diego Championships. – Men’s Physique: Bradley Martyn, 23, won his class and the Overall at the Phil Heath Classic. – Fitness: Kristine Duba, 26, became the first two-time NPC Athlete of the Month selection. Duba, who was also named Athlete of the Month last October, won Fitness and Figure Overall titles at the Tanji Johnson Classic.